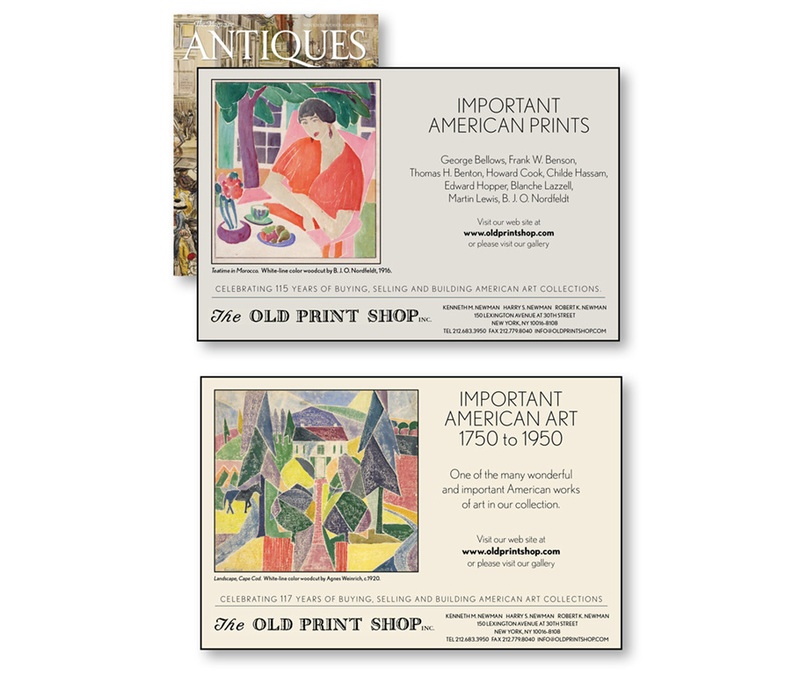 E-commerce website, publication design, print collateral and advertising for one of the oldest fine art print dealers in the USA. 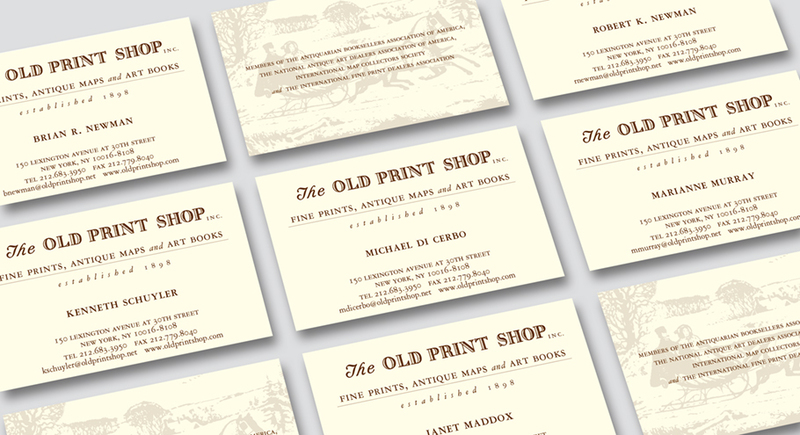 The Old Print Shop, an art gallery specializing in American graphic arts, antiquarian maps, and atlases is a long-term client and is an over 100 year-old family-run business. The challenge was to work with their existing logo while making the communication materials have a more modern feel. 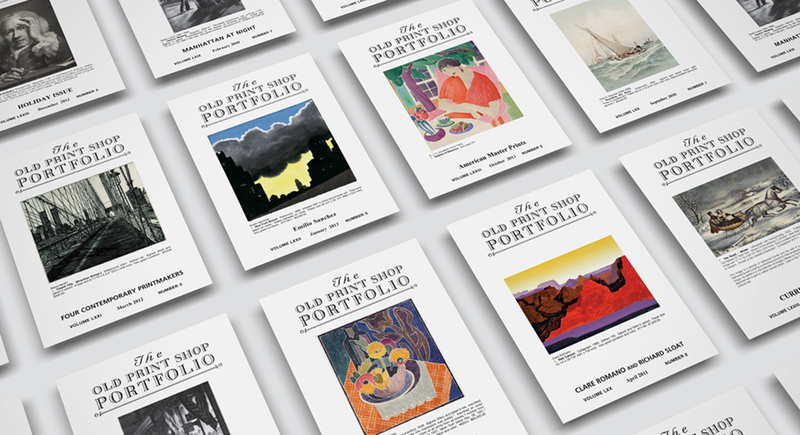 A new e-commerce website was created for them that was contemporary, responsive and simplified online sales and inventory updates for the over 100,000 fine prints they have available for sale. 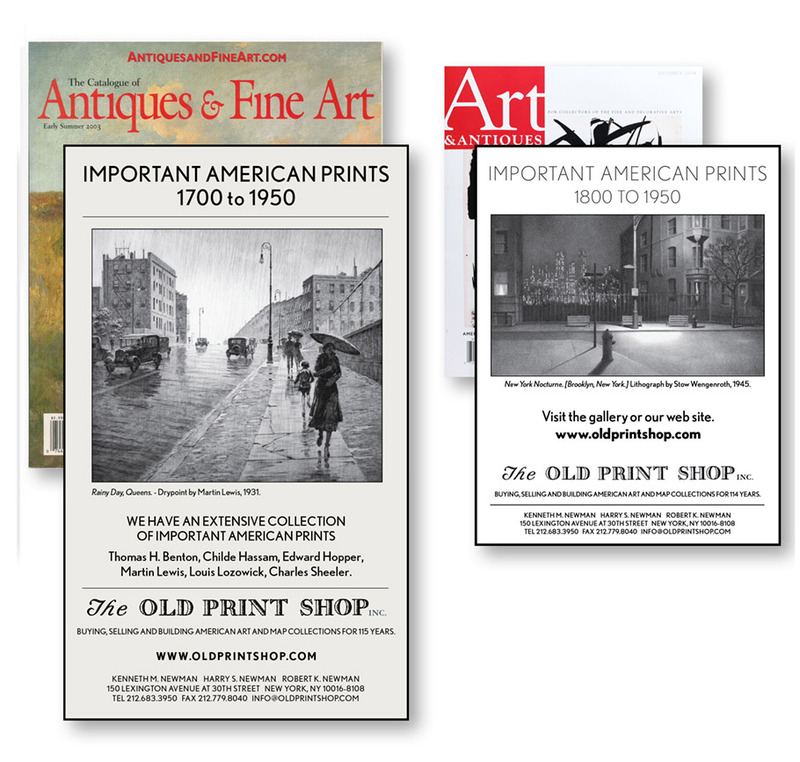 The site allows the user to shop in both the New York and Washington DC gallery locations.